During Build 2016, Microsoft revealed important software development projects to spur improvements of its services and apps. The hardware segment was somehow left aside during the event, though. Still, that doesn’t mean OEMs can’t develop new and innovative gadgets like the Exertis Linx Vision. 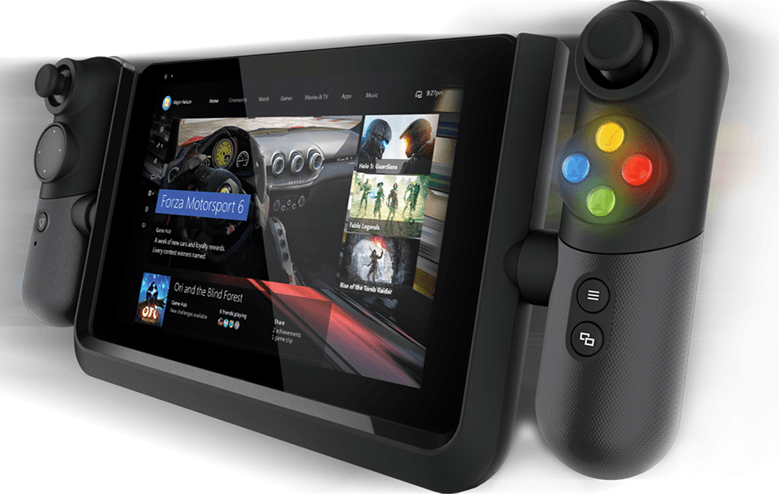 The Exertis Linx Vision is an interesting Windows 10-powered tablet that features a dedicated built-in gaming controller. Basically, if you love your Xbox One, you’ll probably be a fan of the Exertis Linx Vision, even if the tablet and its gaming controller combo lack that something which usually makes such unique devices really great. Still, the idea is still awesome, even if its controls are laid out in a strange way, which can make the gaming experience a little bit odd. The materials used for manufacturing this tablet isn’t exactly premium, and the glossy display is maybe its biggest downside –it’s really hard to imagine that you can really enjoy a game outside on a sunny day, for instance. Specs wise, the Exertis Linx Vision comes packed with an 8-inch 720p display, 2GB of RAM, 32 GB of built-in storage capacity, a 2MP rear facing shooter and an Intel Atom processor. The tablet is running on Windows 10 by default and has an external Xbox controller built onto it. At Build 2016, the Exertis Linx Vision was shown streaming a game from Xbox One on the same wireless network, but gamers can also download and play their favorite games from Windows Store. Currently, the tablet is available in the U.K with a price tag of £149.99. Unfortunately, there isn’t any information regarding a future U.S release, but we might have something in that matter pretty soon. What do you think? Is this gaming-friendly Windows 10-powered tablet something that you would want for yourself? If you do want to test it, you can order your own Exertis Linx Vision from here.